If you don't want trash talk to be blasted from your TV speakers, you'll need to spend more than the Xbox One's $500 base price. 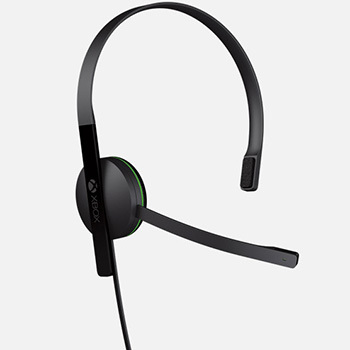 Part of the reason Xbox Live has such a vocal community (for better or worse) is that the console included a headset right in the box. One console generation later, the tables have turned - Microsoft announced that the Xbox One will not only ship without a headset, but standard headsets - including the 360 model - won't be compatible with the new system. The official Xbox One headset (designed to work with the controller's uniquely-shaped auxiliary port) will be sold separately, and for the time being it seems the only options are to throw that extra cash to Microsoft or use the Kinect's built-in microphone. "The Wireless Controller has been redesigned to allow for higher data transfer speed between the controller and the console," a Microsoft representative explains. "This also required creating a new expansion port design for headsets and future controller add-on devices which is different from a standard audio plug input." Microsoft says that there are plans to develop some kind of port adaptor which would allow other headsets to connect to the controller, which (conveniently enough) would also involve purchasing another accessory from Microsoft. If you don't want to spend more money on the console, Microsoft claims that the Kinect's noise-cancelling microphone will be sufficient for voice chat while gaming, though it remains to be seen how well that will work in practice. Just for comparison, the PS4 will include a basic headset in the box.